I really like fake healthy food. Like oatmeal cookies. Granola. 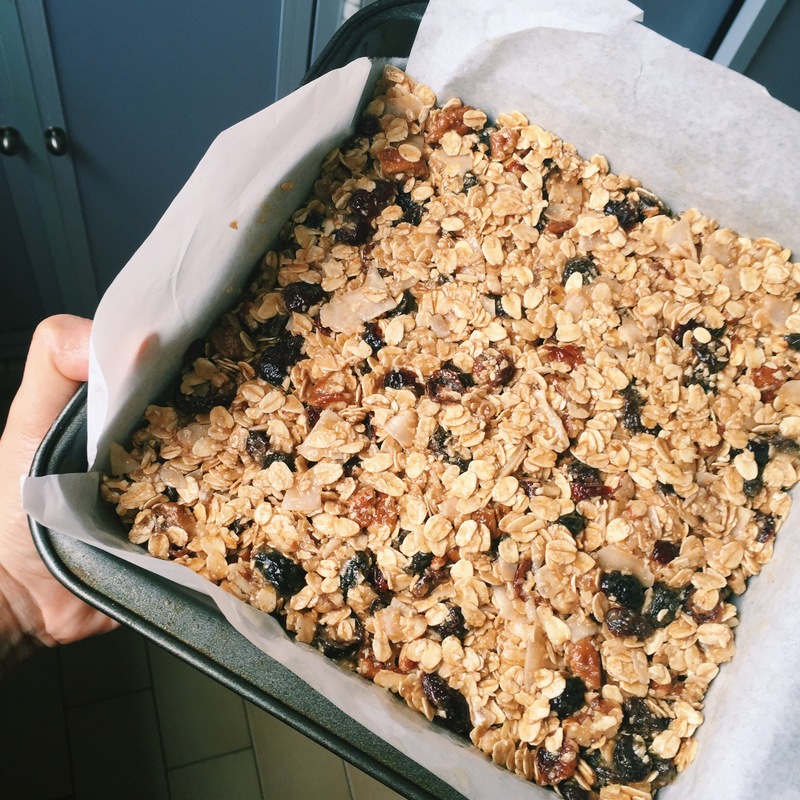 Granola in the bar form. 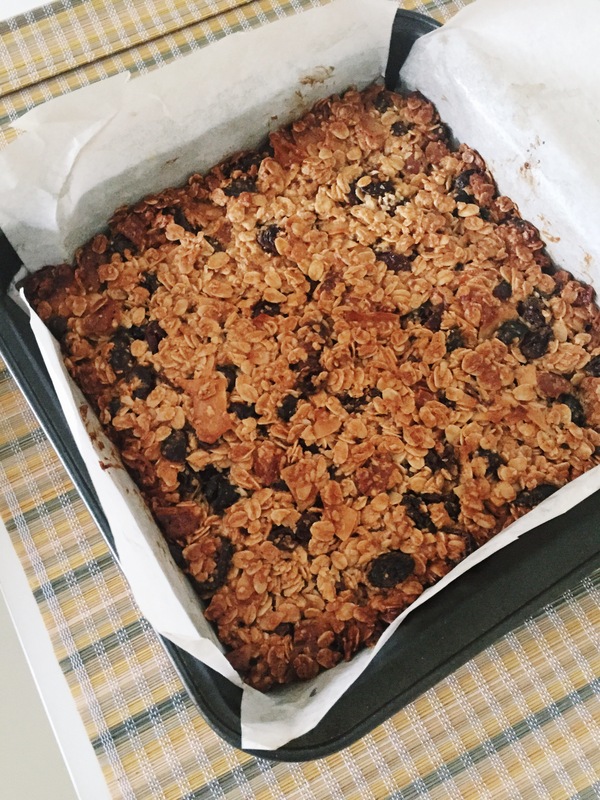 Oat bars. Fully loaded oatmeal. I think I’m seeing a trend. 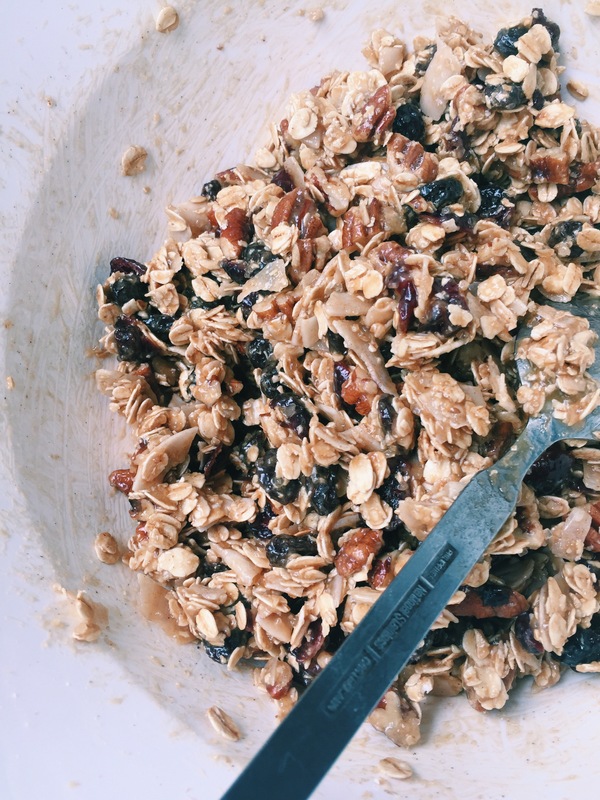 I think I like these treats because they have nuts and oats and dried fruit and all these nutrients but really they’re just full of sugar – and taste like it. So, when I was scheduled to go on a nature walk to see otters (I didn’t see them) at 7:00am in the morning, I knew one thing would make this exercise infinitely more tolerable. 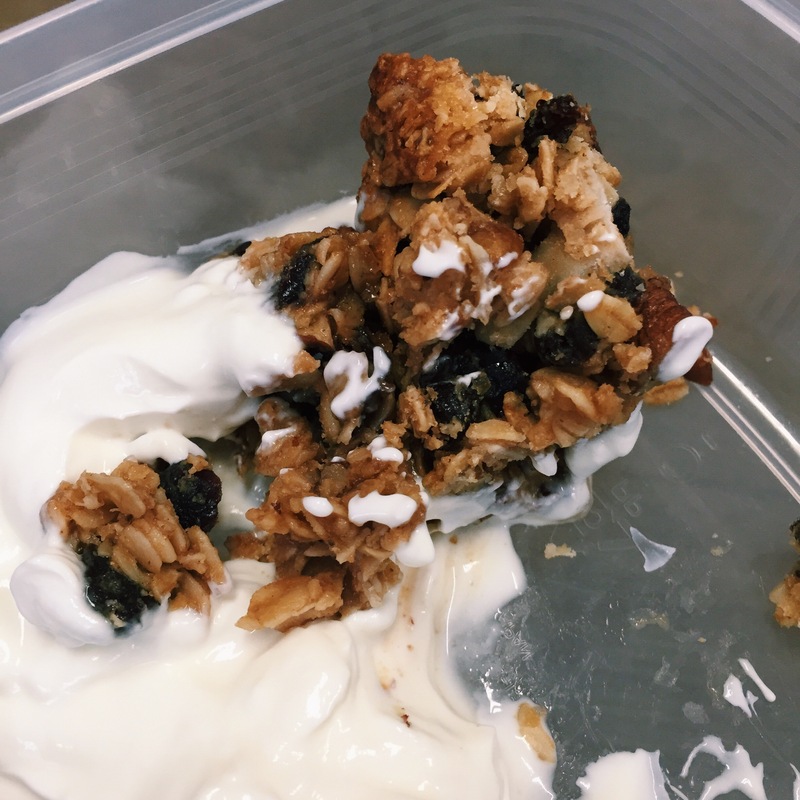 Crazy tasty and filling granola bars that I could whip out of my tote bag (because I’m eco-friendly like that!) and munch as I surveyed nature. And stuff. When it came time to cut these – they didn’t stick together. They just failed and crumbled. I had to shove it into foil and mold it into a square shape for my nature walk. I have to admit, I was skeptical about these babies but one bite and I was swooning. They’re just crazy delicious and the right amount of sweet and chewy. I’m salivating as I write this. When I got home I found that everyone in my house was also totally into them. And the fact that they were basically only possible to eat with a spoon? Did not phase us one bit. I urge you to make these, eat them with friends, eat them alone, eat them for tea, eat them for breakfast, eat them with greek yogurt… Just make them. And eat them. What else are you doing this weekend?